at our elegant hair salon & hair loss center! Welcome to relaxation, beauty and well-being ... Centre for Hair and Wellness. When you look your best, ultimately you feel your best. We want you to be confident when you look in the mirror. Beauty comes from the spirit within. In our full-service hair salon we nourish your spirit and your sense of who you are ... and help you become the very best that you can be. Let yourself relax, rejuvenate and be pampered by our independent stylists in a nurturing atmosphere, using the highest quality products. Our private and discreet hair loss center offers the region’s most beautiful and comfortable options for people of every age, from young children through adult men and women. We have been the area’s first choice for truly professional hair replacement advice and options for more than 20 years. We invite you to experience all things beautiful, relaxing and kind at Centre for Hair and Wellness. Stylist and salon owner Violet Deilke has been making clients beautiful for over 25 years. 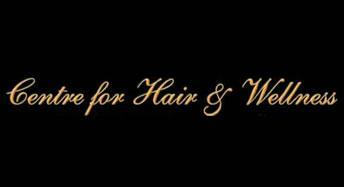 She cares for men, women, and children dealing with hair loss, offering them a choice of the area’s most complete range of hair replacements, including hair integrations and wigs, as well as stylish hats, scarves, and head coverings. She custom designs (cuts, fits, and styles) the hair prosthesis you select to create the most natural look possible. "Hair Designer Carla Ochoa loves her job! She loves helping people. 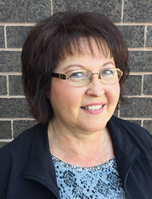 Carla has joined the Centre for Hair & Wellness, downtown Moorhead. She comes to Moorhead from downtown Minneapolis. After 30 years in the hair business, Carla still loves every area of her work: creative hair cutting and styling, hair coloring, highlighting and foil placements, awesome mani and pedis, plus waxing and makeup! Call or email Carla at 612-267-3345 chochica@gmail.com for your appointment!" 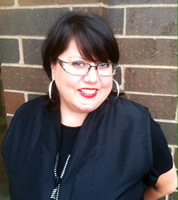 Independent stylist Mary Schauer has been in the salon industry since 1995. Mary’s areas of service are haircutting, facial waxing, manicures, pedicures, and reconditioning and chemical services. She especially loves highlighting, coloring and perming hair, as well as texture-waving and straightening. She enjoys the most making a difference in her clients’ lives. Call her at 701-212-7389.